Income Protection is one of the most important types of protection available. This policy acts as a Sick Pay scheme that you control. The policy is designed to pay a tax free monthly sum in the event that you are unable to work due to an accident, injury, sickness or illness giving you financial stability and the opportunity to focus on your recovery without financial burden. Most people will rely entirely on their employer’s sick pay scheme or often sometimes think that the State will look after them. Unfortunately, the harsh reality is that even the best employers will not provide a wage for the average length of an Income Protection claim (industry average is between 6- 7 years) and the State would provide nowhere near enough. The ABI (Association of British Insurers) state that over 1M workers a year find themselves unable to work due to sickness or injury leaving the majority of these individuals in financial ruin. Individuals who permanently live in the UK and are employed or self-employed and receive an income in the UK. People with or without employer sick pay schemes. Customers who struggle to prove their income. Customers in High Risk occupations. This type of Protection is designed to protect what matters most – you and your family. The cover can be designed to protect anything for a mortgage liability through to your children’s futures. There are a range of different levels of cover available, the big 3 are Life Cover, Critical Illness Cover and Income Protection. This type of Protection is designed to protect the business interests of the shareholders, the key personal and its employees. One of the biggest risks to any company is the loss of key individuals which forces uncertainty. This protection is designed to ensure your business can recover as quick as possible. The cover provided stretches from Key Man Cover, Share Protection, Business Loan Protection and Relevant Life Cover. The amount of life cover will remain the same throughout the life of the policy. Generally suitable for family protection and Interest Only mortgages. The amount of life cover will typically reduce in-line with the outstanding debt on a repayment mortgage. Typically suitable for Repayment mortgages where the mortgage loan is repaid gradually over the course of the mortgage term. This is not too dissimilar to a Level Term policy; however, the proceeds are paid out an annual basis until the end of the policy rather than a lump sum payment. This policy will payout upon Death only. Most death benefits plans will include Terminal Illness cover (If you are given a life expectancy of less than 12 months the policy will pay out immediately). This policy will only payout upon diagnosis of a specified Critical Illness Only. This is often referred to as a ‘Standalone Critical Illness Policy’. NOTE: Please note it is very important to understand the Critical Illness policy you take out as cover varies dramatically between the insurers. This type of cover is designed to pay a tax free monthly amount directly into your bank account to support you if you are unable to work due to accident, illness, sickness or injury. This policy is designed to cover you beyond any sick pay provided by your employer and ensures long term financial stability during your recovery. What is the purpose of Business Protection? Can my premiums be fixed? It depends on the policy type selected at application stage. Premiums can be ‘guaranteed’ and remain fixed throughout the duration of the policy OR the premiums can be ‘reviewable’ which means the premium can change during your review dates (typically every 5 years). Can the cover be linked to inflation? This depends on the insurance provider and policy type. Certain policy types such as Term Assurance can be linked to inflation and is often tracked by RPI (Retail Price Index). This ensures the value of the policy does not erode over time and provides the value of cover you intended at the start of the policy if a claim is made. It is important to understand that if you choose to increase your cover the premium would also increase. The general stance taken by insurers is if a person has smoked or used any type of nicotine such as cigarettes or cigars or nicotine replacement products including patches, gum and E-Cigarettes (depending on nicotine levels). Simple! Speak to one of our advisors, they can provide expert insurance advice and help tailor a policy exactly to your needs ensuring you have the most suitable cover: this can range from the right type of policy(s), amount and duration of cover and source the right insurer considering your personal circumstances and overall answer any question you have to ensure you have total peace of mind in the cover you have. 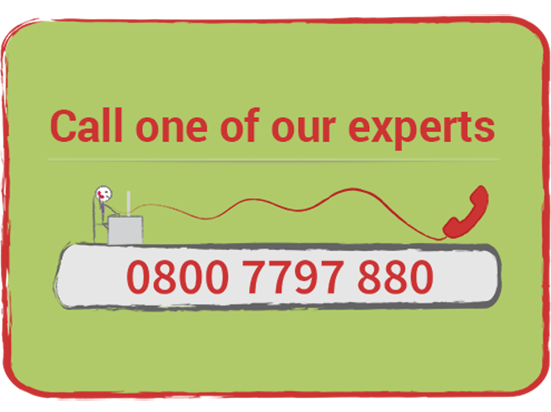 To get advice please call #TELEPHONE NUMER# or complete the ‘Request a Quote’ form on our website. This depends on the insurer, most have online interactive questionnaires about your current and past health and lifestyle. You may be able to receive and instant decision or there may be a requirement for further medical evidence such as a Doctor’s report or Nurse Medical Screening. By using an Advisor this process can be broken down step by step and offer you peace of mind the process has been completed correctly and remove and doubt about the policy. Can I get guaranteed acceptance? 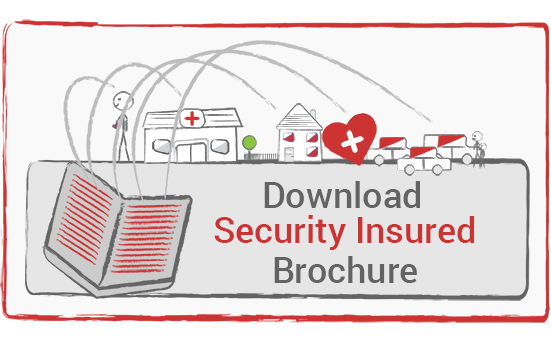 Most policies are medically underwriting and acceptance is dependent on each insurer’s underwriting philosophy. An application may be declined due to current or past health issues or lifestyle based activities such as hazardous pursuits or travel. If you are unable to obtain a medically underwriting policy, you can consider an Over 50’s policy, which does provide guaranteed acceptance with an initial exclusion period (consider it a qualifying period). However, if you die as a result of an illness during this period your family would typically be refunded the premiums plus some additional benefit (insurer dependent). I have been declined by another insurer, can I still get cover? Potentially, every insurer views different medical conditions and personal circumstances in their own unique way, this refers to the insurer’s underwriting philosophy and where one insurer has declined cover another maybe able to offer cover. It is important to remember that this may not be the case every time as the decision rests on your disclosures. An Advisor can take this burden away and use the experience and knowledge on which insurer best suits your needs. 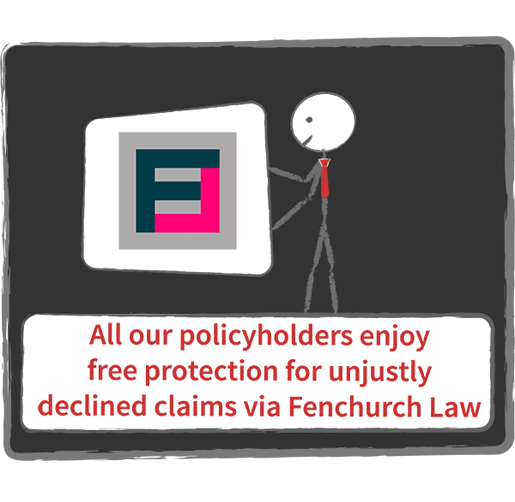 We provide Advice & Recommendations for Non-investment protection contracts from a range of insurers. Are you ‘Whole of Market’? Yes, we can use whichever insurer we choose and have links to all the mainstream insurance providers plus a range of specialist insurance providers. What Fee’s do you charge? None! We do not charge a fee for our services at any point in time. We are paid a commission by the insurance provider. This does not influence which insurer we use as we always keep our clients interest at heart above everything else. What happens if the insurer goes bankrupt? How long can I have the cover for? This is often referred to as the policy Term or Duration. Generally, the Term is linked with your specific needs such as your mortgage duration, child dependency or retirement age. You can also choose to have a ‘Whole of Life’ policy which has no expiry, this runs until the day you pass away no matter how many years that may be. This type of cover is often used to provision for funeral costs or IHT bills (inheritance tax).